Here today, in another way, out of syllabus topic is going to talk but it's more significant and very close to our life, also it is the most controversial one & investigated thoroughly plus it has been published many times in a modern way. 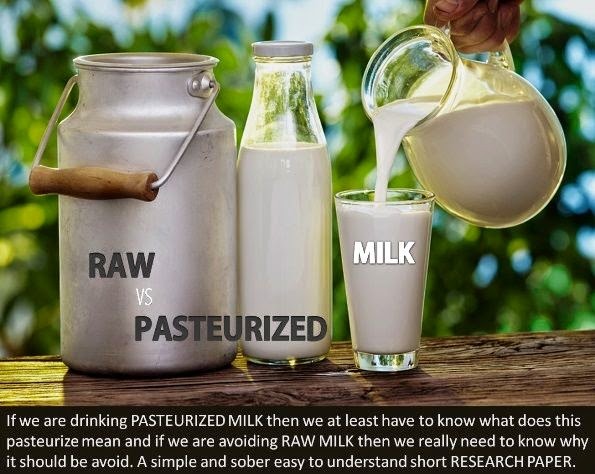 People need to know what is the difference between raw milk vs pasteurized milk or you may also say; the difference between pasteurized and unpasteurized milk, their nutrition facts, then talking about whether the pasteurization destructive to the nutritional quality of your milk, their health benefits. There are many reasons listed below so one might prefer raw milk over pasteurized milk or vice versa. Learn about the benefits and potential drawbacks, risks, and benefits of consuming raw and pasteurized milk. We know the milk and its products provide higher nutrition benefits but the question is do we really know which kind of milk it is?? what are the benefits of raw milk & pasteurized milk? 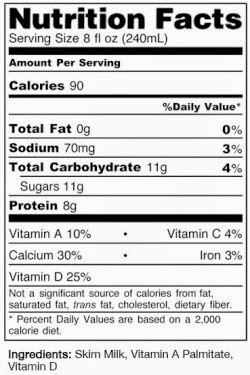 pasteurized milk & raw cow milk nutrition facts? There are reasons to prefer raw milk but there are much more reasons to go with pasteurized milk. Are you believing that raw milk is better for you than pasteurized milk then checks out this simple and quick hypothesis to find out the answers about raw milk vs pasteurized milk? The pasteurized milk is also called processed milk whereas raw milk is called fresh organic milk. Furthermore, this processed milk again goes into the homogenization process to make homogenized milk. The purpose of homogenization is to break down fat molecules in milk so that they resist separation. But today we are going to see details about raw milk vs pasteurized milk nutrition facts, health benefits, the nutritional value of raw milk over the pasteurized milk and the facts that show the raw milk good or bad for our health. The comparison between raw milk Vs pasteurized milk is carried out in a simple manner and quick research produced just to elaborate to everyone easily about raw milk benefits and by considering the risk for a potential illness food safety officials warn after knowing the sales of raw milk. This milk is the direct milk from animals like, cow, sheep & goat. Process: Pasteurisation [developed by Louis Pasteur in 1864] is a heat treatment which obtained by keeping the milk at a specific temperature of 145°F to 150°F - High Temp/Short Time [HTST] for half an hour, at least, and then decreasing the temperature to not more than 55°F. In simple words; it is the process of destruction of certain disease-carrying germs and the prevention of souring milk. This milk is directly served. This raw, unpasteurized milk can carry dangerous bacteria such as, E. coli, Listeria and Salmonella, which are responsible for causing numerous foodborne illnesses. Milk is pasteurised to kill harmfull bacteria before it served. On high temperature, harmful bacteria are removed by 99.99%. The bacteria in raw milk can be especially dangerous to people with weakened immune systems, older adults, pregnant women, and children. Pasteurized milk is a better food for anyone with any age. Raw contains pathogens and it DOES NOT kill pathogens by itself. One of the most dangerous bacteria Pathogens causes most of diseases is killed in pasteurization. The HTST method aims to kill as much as 99.999% of the viable pathogens in milk. Raw milk have higher NUTRITIONAL VALUE. Is yogurt pasteurized? Yogurt made from unpasteurized milk is UNSAFE to eat. Yogurt, Ice-Cream from pasteurized milk is much SAFER to eat. There are lots of nasty bacteria that can live in raw milk, like Salmonella, Listeria, Brucella, Streptococcus pyogenes, Campylobacter, and Mycobacterium bovis. They'll make you very sick, and infections can even become life-threatening. Those bacteria are not present in pasteurized milk. Most important; raw milk does not have a natural resistance to bacteria. Not only provide resistance but it protect to avoid infections by means of immune system. 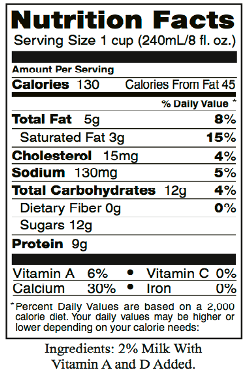 Higher Vitamin C – Important factor in growth. Which makes you strong and healthy. Lower Vitamin C. This frequently leads to bad teeth, rickets & nervous troubles, for sufficient calcium content is vital to children; and with the loss of phosphorus also associated with calcium causes bone suffer in serious setbacks. Raw milk contains the milk sugar called as LACTOSE in its purest form, and lactose aids helps in digestion and elimination. Pasteurization does not cause lactose intolerance. Pasteurization turns the sugar of milk, known as lactose, into beta-lactose — which is far more soluble and therefore more rapidly absorbed in the system. This pasteurized milk have natural resistance to bacteria. Raw milk is illegal in some states of Canada like West Virginia. enzymes such as phosphatase and lipase present in milk. It inactivates enzymes such as phosphatase and lipase in milk which adversely affect the quality of milk. That’s good that both the pasteurized & raw milk and their dairy products can cause allergic reactions but can be dangerous if produced under unsanitary conditions, which are more likely if the product is being sold illegally. Requesting you to always check for the word “pasteurized” on labels of milk products before buying. Read product information carefully, and consult your retailer if you have any doubts about an item that if it isn't clearly labeled. Consumers should avoid any dairy products sold illegally, especially from the black market even they are cheap. Health is wealth, ultimately. Overall, drinking pasteurized milk is still the safest way to enjoy the health benefits of milk.